One of the biggest challenges in my family tree has been pinpointing where exactly in Ireland my ancestors lived. It’s one of those unknowns that I’ve been trying to nail down for a while. If you have Irish ancestors who came to America (particularly around the time of the Great Famine), you know just how hard it is to research. With so many of Ireland’s civil records destroyed in the fire of 1922, we have to rely mostly on parish records and Griffiths Valuation (1848-18641) for our mid-nineteenth century research. American ship manifests of Irish immigrants who came around the time of the famine leave a lot to be desired in terms of the information they provide. 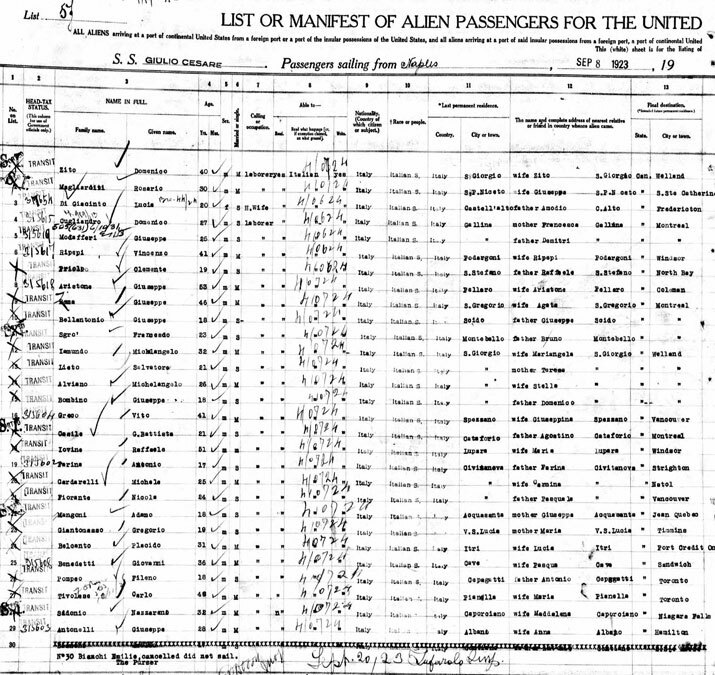 Unless your ancestor had a unique name, unique occupation, or a large family who all traveled together, good luck trying to find the ship manifest. My 2x Great Grandfather was John McDermott. A quick search for “John McDermott” on Ancestry shows over 300 results for immigration records in the ten-year span between 1845 and 1855. John would have been a child or teenager when he came to America and would have traveled with a small family. His father was likely a laborer. Whether in the U.S. before. If so, when/where? Who/where you’re going to stay with in U.S. So how can I trace my Irish branch back to the Emerald Isle to discover where my ancestors lived? How can I learn more about their lives during the famine and the hardships they endured before leaving for America? That’s what I will attempt to do in this blog series. I invite you to follow along as I discover new sources, analyze information, document my findings, and ultimately reach some sort of conclusion. I also plan to talk about the things I’ve learned in this process and the mistakes I’ve made in the hope that others can learn as well. Lastly (and more selfishly), this series will also serve as my documentation to share with my own family members. And who knows, maybe someday a long lost cousin with a critical piece of missing information will find this series and connect with me. If that’s you, contact me here! While there’s always the chance I’ll never be able to make a sound conclusion that meets the genealogical proof standard, I am definitely up for the challenge. Ready to follow along? Be sure to subscribe to my email list to get updates whenever a new post is published. Get all the latest updates to this case study delivered straight to your inbox. My name is Marc McDermott. I created this website to share my passion for genealogy with fellow hobbyists. My aim is to break down complicated topics related to family history, and tell the story of my own discoveries along the way. Read more about me here.